Seven Springs gives new meaning to adventure fun with a full menu of activities for the entire family. Experience the ultimate adrenaline rush on the Laurel Ridgeline Zipline Tour or Screaming Hawk Zipline, ride the Alpine Slide, climb to the top of the rock wall, catch a fish in one of our fishing ponds, feel the excitement of riding the downhill mountain bike park, or take part in any of the many activities at Seven Springs, Pennsylvania’s Outdoor Adventure Headquarters! 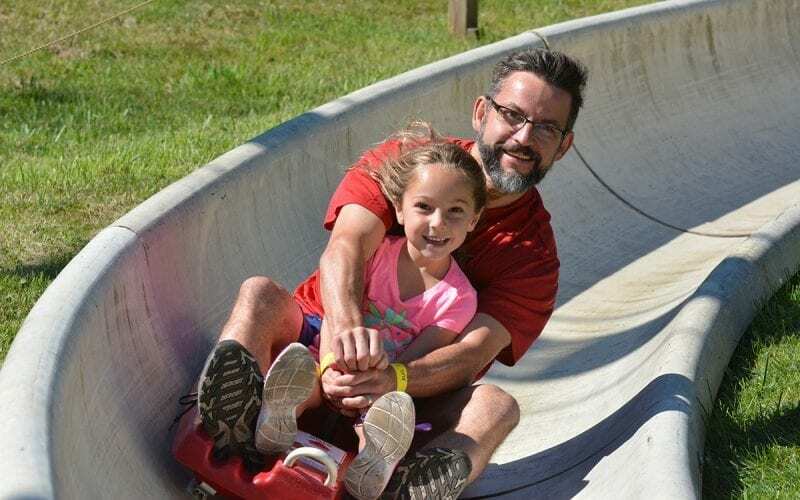 Be sure to check out the Summer Adventure Report for the latest information about your favorite adventures offered at Seven Springs Mountain Resort! Most activities run Memorial Day weekend through Labor Day, weather permitting. Please click on each listing for rates, hours and more information. Calm down! Get out of town! Take a hike! You can do all of that and more this summer at Seven Springs Mountain Resort, Pennsylvania’s Outdoor Adventure Headquarters. 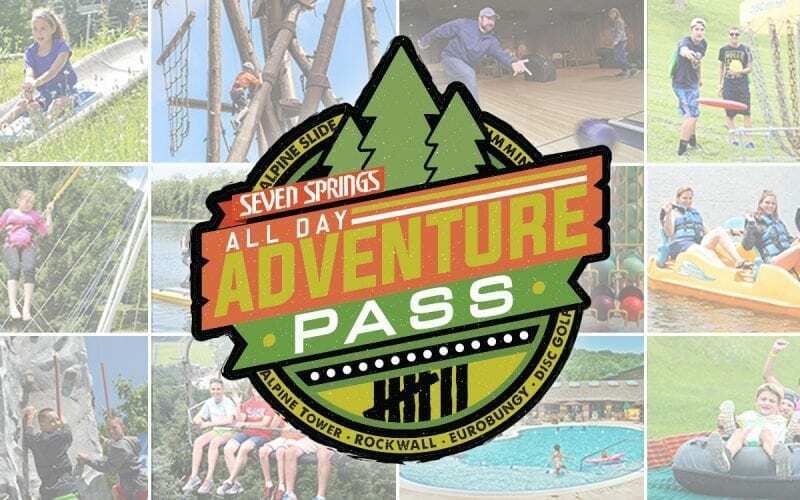 The All-Day Adventure Pass is your golden ticket to adventure all over the mountain! Bounce and flip on the EuroBungy, take the Rock Wall Challenge, and so much more. Twelve summer adventures await on one great pass! 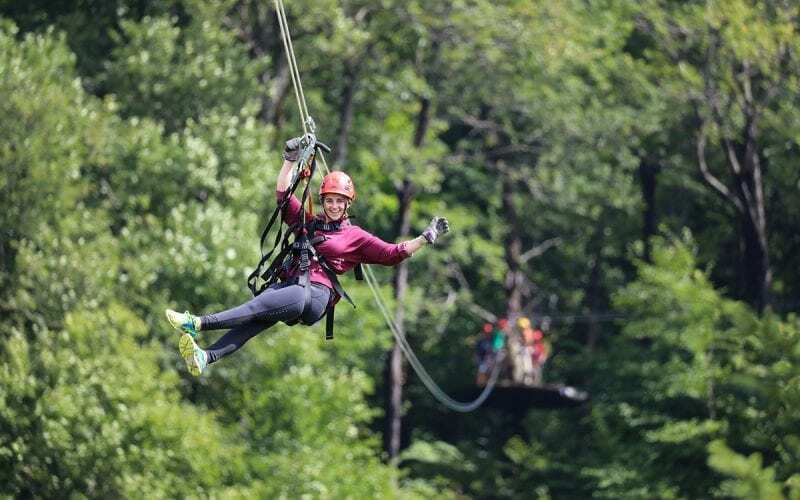 Defy gravity and soar above Seven Springs Mountain Resort on the Laurel Ridgeline Zipline Tour. This world-class zipline experience is a highly-interactive tour that will connect you with nature. Enjoy the beauty of the Laurel Highlands as you zip ten times, rappel and cross two bridges on this over one mile, three hour tour. Welcome to Seven Springs' premier summer lift-access adventure. 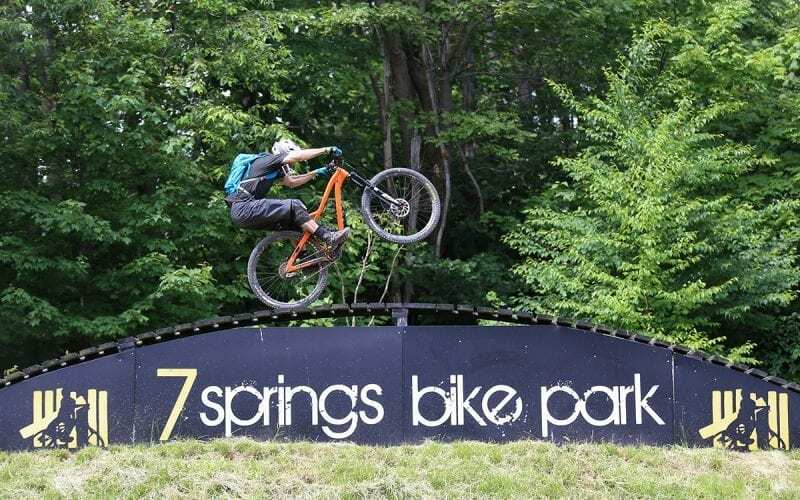 The Seven Springs Bike Park offers a diverse mix of gravity-fed trails, all serviced by two high-speed chair lifts. Since 2007, we've been sculpting dirt to all ability levels, ranging from rolling greens to adrenaline-pumping black diamond descents. Inside this playground, you'll discover berms, banks, rock gardens, drops, ladder bridges, table tops, boxes, fall line sections and 20+ foot jumps and more. It's the most exhilarating mountain fun you can have on two wheels and we offer everything you need: bikes, protective gear and personalized lesson packages to get you rolling. Shred Seven Springs all season long! Defy gravity and soar above Seven Springs Mountain Resort on the Screaming Hawk Zipline Course! Just lift your feet, lean back and enjoy this adrenaline-filled ride as you fly down nearly 2,000 feet of ziplines. The Screaming Hawk features a cargo climb, four zips, sky bridge and auto belay. You’ll feel like you’re flying on this thrilling, high-speed adventure! Book your adventure on the Screaming Hawk Zipline today. Advance reservations are highly recommended. Walk-ins are accepted based on availability. Don’t miss all of the outdoor adventures available at Seven Springs. Reach new heights on the rock wall or alpine tower, paddle around on the lake and more! Receive the latest inside information about Seven Springs Mountain Resort, Pennsylvania's outdoor adventure headquarters.